The RCMP admitted that it made a mistake when it failed to inform Prime Minister Justin Trudeau's protective detail that would-be political assassin Jaspal Atwal was planning to join the prime minister during his official visit to India earlier this year, according to a report by a joint committee of MPs and senators. The RCMP admitted that they made a mistake when they failed to inform Prime Minister Justin Trudeau's protective detail that would-be political assassin Jaspal Atwal was planning to join the PM during his official visit to India earlier this year, according to a new report by a joint committee of MPs and senators. The report by the National Security and Intelligence Committee of Parliamentarians, released today, details how the RCMP "had information that suggested that Mr. Atwal was going with the Prime Minister on the official trip to India, but did not validate that information." "The RCMP had information that Mr. Atwal had a serious criminal record and a history of involvement in violent acts, issues which should have been identified as security risks to the Prime Minister and his delegation. The RCMP recognizes that it erred in not providing that information to the Prime Minister's Protective Detail," the report said. Atwal was not a member of Trudeau's official delegation and travelled to India as a private citizen, the report said. During Trudeau's official trip to India in February, CBC News revealed that Atwal — a Canadian of Indian descent who was convicted of attempted murder for trying to assassinate Indian cabinet minister Malkiat Singh Sidhu while he was visiting Vancouver Island in 1986 — turned up at an official event and got an invitation to another at the Canadian High Commission in Delhi. After CBC News revealed that Atwal had attended events with the prime minister and his delegation in India, Trudeau's national security and intelligence adviser, Daniel Jean, contacted the media and gave an off-the-record briefing. The briefing suggested that rogue political elements in India may have orchestrated Atwal's invitation to embarrass Trudeau and make him seem sympathetic to Sikh extremism. The report looked into those allegations and delivered six findings — all of which were redacted from the report. Jean announced his retirement in April. Atwal received his invitation through B.C. Liberal MP Randeep Sarai, who put the former member of a banned extremist group on the guest list for a dinner at the Canadian High Commission in India. According to the report, Atwal's name was one of 423 added by the Prime Minister's Office to a list of people invited to both events. The redacted report from the committee also takes the RCMP to task over how they assess risk, saying that the force's conclusion that Atwal was not a risk "was based on a narrow interpretation of risk that did not reflect his known criminal record or [redacted]." The report goes on to say that the RCMP's conclusion — that even if the prime minister's protective detail had been aware that Atwal was going to attend events during the trip, it would not have "changed its security posture" — was "questionable at best." An RCMP spokesperson told CBC in an email that the force is able to respond to a number of different possible threat situations and conducts detailed planning to reduce the risk to the prime minister at all times. "During the Prime Minister's trip to India in February 2018, the RCMP provided a level of security commensurate with the threat information that was available," the RCMP say. The report noted that the guest lists for events Atwal was invited to attend, and all the other guest lists for the trip, were not shared by Global Affairs Canada with the RCMP or CSIS, and that the RCMP conducted its security checks on an "ad hoc basis." The committee report says the RCMP learned on Feb. 13 that Atwal might be present for Trudeau's India tour — three days before Trudeau and his entourage left for India. Mounties subsequently searched criminal databases and learned the details of Atwal's record. That, said the committee, should have been the RCMP's cue to alert the PM's security detail about Atwal's background. On Feb 14., says the report, the RCMP did reach out to a branch of the Integrated National Security Team in B.C. — a multi-agency team working on national security enforcement — to find out if Atwal was still in Canada, but that query was left in a voicemail sent to an officer who was away on leave. On Feb. 20, the INST received the request "at the end of shift" and did not pass it on until the following morning. 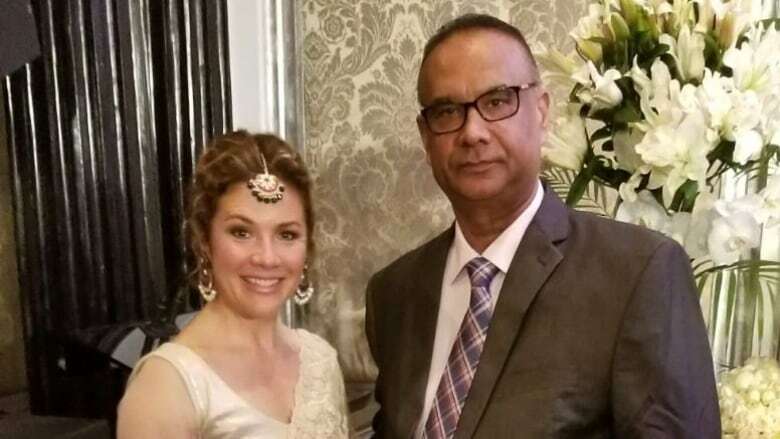 According to the report, the RCMP officer in charge of the PM's security detail in India told the committee that while the trip, overall, was "a good visit," Atwal's presence at events with the prime minister and his wife Sophie Gregoire Trudeau "significantly increased the risks to the (prime minister and family) and others in the room." "A name check even on Google would have identified and flagged this individual if the guest list would have been accessible to security," the officer told the committee. The RCMP admitted that errors were made and that procedures were not followed, says the report. The RCMP also told the committee that Atwal was not considered a threat, despite his criminal history. Months after the incident in India, however, Atwal faced charges in British Columbia for "uttering threats to cause bodily harm." He told media in June 2018 that he intends to plead not guilty when his case comes to court in June 2019. NDP MP Nathan Cullen said the report raises more questions than it answers because so many key sections have been blacked out. "We have to do better than this, I think is a fair conclusion. We have to know more than this as parliamentarians because it's not just the committee members who are seeking to hold the government to account," he said. While the RCMP takes some of the blame in the committee report, it offers little information about the role and responsibility of political actors in the affair, Cullen added. Conservative MP Mark Strahl said the heavily redacted report sheds little light on what actually happened during the "disastrous" trip. He accused the Prime Minister's Office of deliberately hiding information about an incident that embarrassed Canada, tainted the nation's reputation on national security and damaged Canada-India relations. "It's been a fiasco from the start and this gives us little confidence," Strahl said. "We'll be reviewing it in detail to ensure that the prime minister's timelines, what he told Canadians, is actually backed up by the data." The report recommended that an interdepartmental review should be conducted to identify lessons learned. The report also suggested that the federal government should craft a "consistent method" for conducting background checks for all organizations that develop guest lists for events abroad featuring the prime minister.